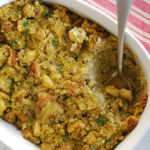 Southern Gluten Free Cornbread Stuffing is a classic side dish perfect for family celebrations and holiday get togethers. 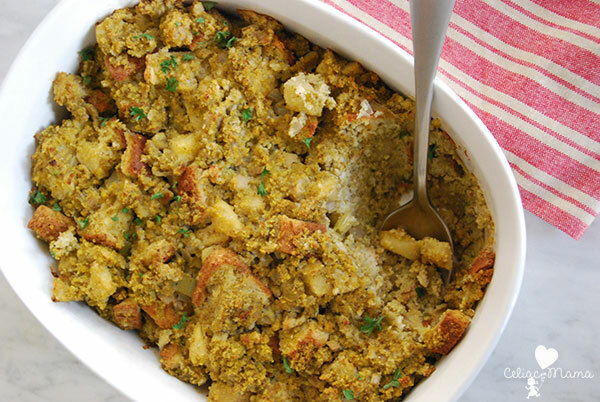 For as long as I can remember my family has been making cornbread stuffing, or dressing as my grandmother called it, at every holiday celebration. 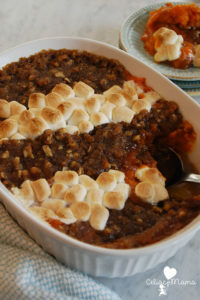 We spent most Thanksgivings at my grandparent’s house in South Carolina and the Southern dishes they served were outstanding! I love that so many of them have become traditions in our house and with my children too. 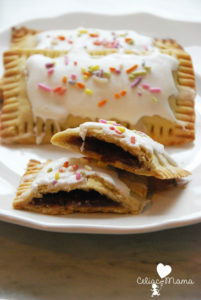 I have successfully adapted most of my grandmother’s holiday recipes with the help of my amazing mother. 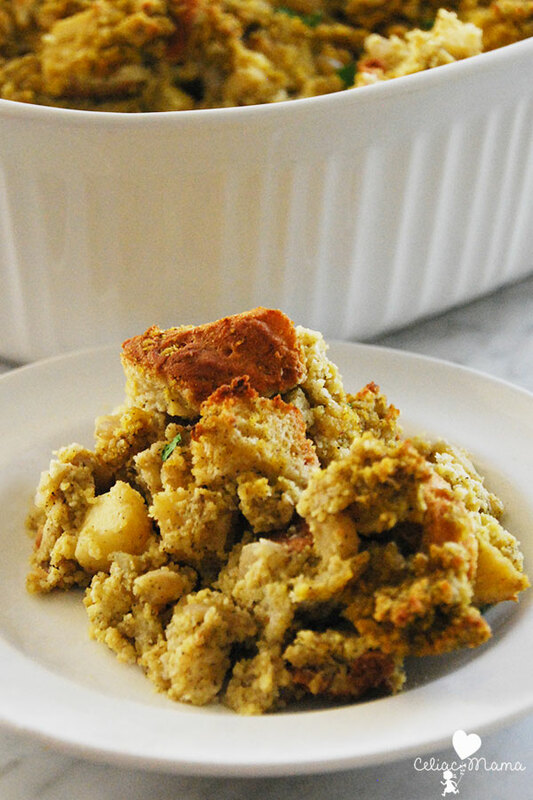 My husband’s family loves Apple Sausage Stuffing, which is delicious too, so it wasn’t until this year that I decided it was time to adapt my side of the family’s stuffing recipe into a Southern Gluten Free Cornbread Stuffing. I’m happy to tell you it was quite easy to do! I replaced the white bread with gluten free bread, added some additional liquid via the chicken broth and threw in some apples because my kids love them. 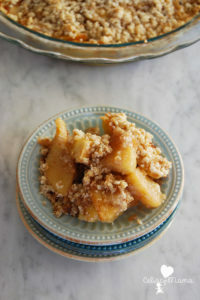 You could definitely make this recipe without the apples if they’re not your favorite and wouldn’t need to adjust anything. In the end, it took me two tries to get it just right. The first time I made it, I cut the sage in half because I mistakenly thought that three tablespoons would be too much. That was the way my grandmother had written her recipe, and I shouldn’t have doubted it. The other thing I needed to do was add 1/2 cup more chicken broth as the first one came out too dry. After that, it was a huge success and it totally reminds me of my grandmother’s, which makes my heart so happy. Here’s the recipe. I hope you enjoy it as much as we do. Peel and chop your apples to the size that you prefer and add to bowl with onion and celery. I like to make it easy for my kids to find the apples, but you could chop them finely too. Add one tablespoon of olive oil to a saute pan and set to medium heat. Measure out your sage, pepper, salt and poultry seasoning in a small bowl. Add your onion, celery, apples and spices to your pan and cook for 10 minutes. You’ll know you’re finished when the onions become tender and translucent. Transfer your vegetables and apples to a large mixing bowl. Add your crumbled cornbread and cubed bread, and fold it together with wooden spoons until evenly combined. Next, pour in your chicken broth and mix so that all of it has moisture. Add 3 beaten eggs to the stuffing mix and fold until it’s evenly combined. If it seems too dry, add one more beaten egg. Transfer the stuffing into a casserole dish. Optional: add fresh parsley to the top for color. Bake for uncovered for 40 minutes. The recipe works better when the gluten free bread is stale. The best way to accomplish this is to cut your bread into cubes the night before you plan to make this, and lay them on a baking sheet on your counter. They’ll be perfectly crisp the next day. 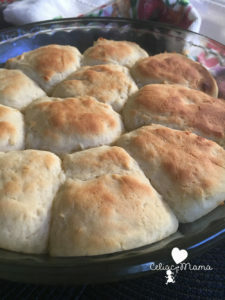 You can make this with all cornbread if you prefer not to add the bread. In that instance, start with 1 cup of chicken broth to see if it’s moist enough. If not, then add your next 1/2 cup. To avoid over dry stuffing, make sure there is enough chicken broth and egg to make it all moist before it goes in the oven. 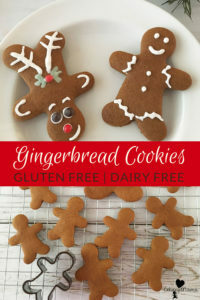 By ingredients, this recipe is gluten free, dairy free, and nut free. It makes 12 servings. This recipe makes 12 servings. 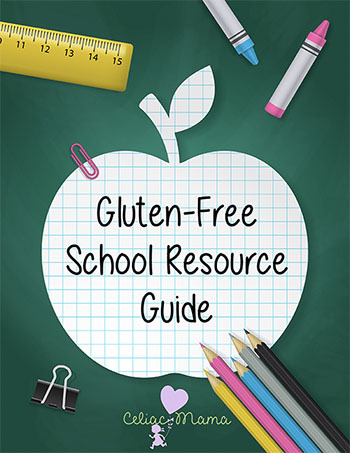 It is gluten free, dairy free, and nut free and is vegetarian. Chop your onion finely and set aside in a bowl. Chop your celery to the thickness you prefer and add to bowl with onion. Add your onion, celery, apples and spices to your pan and cook for 10 minutes. You'll know you're finished when the onions become tender and translucent. 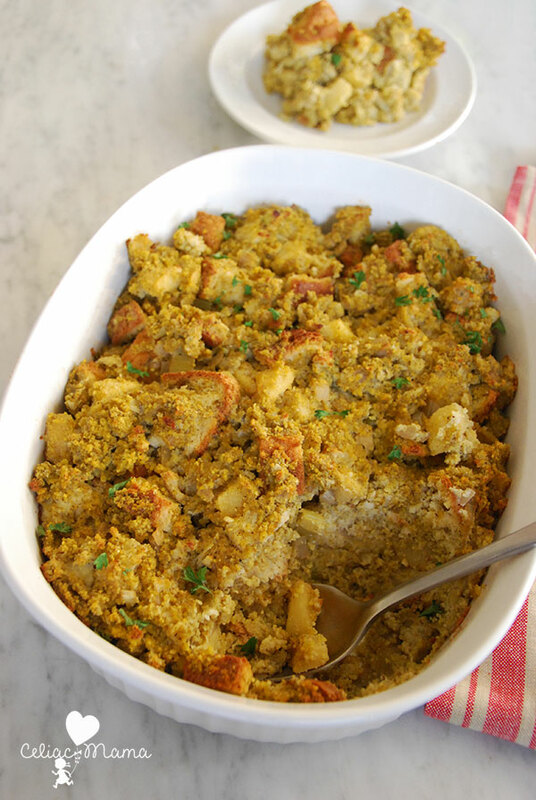 Add 3 beaten eggs to the stuffing mix and fold until it's evenly combined. If it seems too dry, add one more beaten egg. The recipe works better when the gluten free bread is stale. 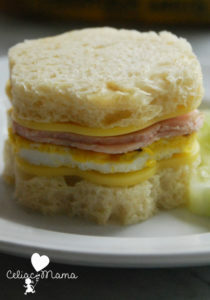 The best way to accomplish this is to cut your bread into cubes the night before you plan to make this, and lay them on a baking sheet on your counter. They'll be perfectly crisp the next day. You can make this with all cornbread if you prefer not to add the bread. In that instance, start with 1 cup of chicken broth to see if it's moist enough. If not, then add your next 1/2 cup.